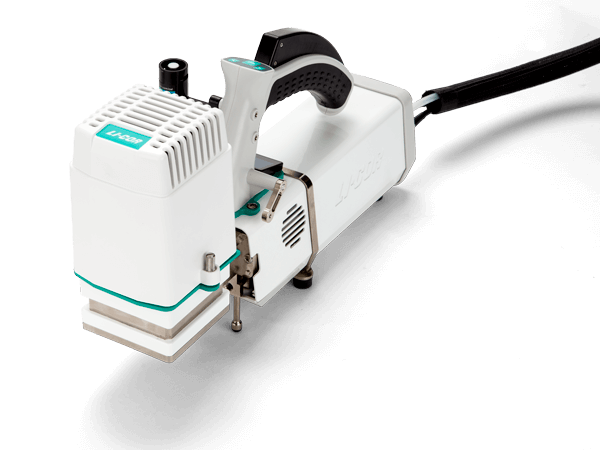 The LI-6800 is available with a variety of leaf chambers, which let you measure gas exchange from leaves of nearly any shape and size, and under a variety of light conditions. The Multiphase Flash™ Fluorometer (6800-01A) is a combined light source and chamber for simultaneous measurements of gas exchange and chlorophyll a fluorescence from the same leaf area. Choose a 6-cm2 or 2-cm2 leaf area by swapping interchangeable apertures. 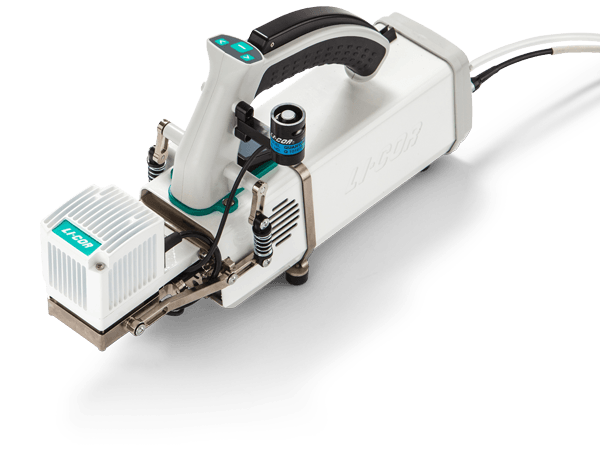 The light source includes a Pulse Amplitude Modulated (PAM) fluorometer, which provides a highly uniform light field over the leaf surface. Capable of saturation flash intensities up to 16,000 µmol m-2 s-1, the fluorometer measures dark-adapted (Fo, Fm, Fv/Fm) and light-adapted (Fs, Fm’, Fo’, ETR) parameters, as well as induction kinetics (OJIP). Supports the Multiphase Flash Fluorescence protocol to accurately extrapolate Fm’ in leaves that are difficult to light saturate. The Large Light Source (6800-03) provides irradiance with any combination of red, green, blue, and white light (up to 2400, 1000, 2000, and 1500 µmol m-2 s-1 respectively). It features a precision reflector to provide highly uniform lighting of the leaf surface. An integrated silicon photodiode measures PAR above the leaf to provide real-time measurements of irradiance in the chamber. The Large Light Source is compatible with the Large Leaf and Needle Chamber, the Small Plant Chamber, and the Bryophyte Chamber. The Small Light Source (6800-02) mounts directly onto the Clear-top Chamber. It provides 0 to 2,500 µmol m-2 s-1 total PAR, with individually controlled red (0 – 2000 µmol m-2 s-1) and blue (0 – 500 µmol m-2 s-1) light. Featuring advanced reflector design and careful LED placement, the light source provides uniform illumination of the leaf surface. An integrated silicon photodiode measures PAR output from the LEDs, providing real-time feedback to control chamber illumination. The Clear-top Leaf Chamber (6800-12A) has a durable, transparent top for ambient-lighted CO2 and H2O flux measurements. The optional Small Light Source attaches directly to this chamber. Several options for measurable leaf area are available with aperture inserts. To fill the chamber area—and easily calculate leaf area size—swap in one of three interchangeable apertures for different leaf area apertures: 3x3 cm, 2x3 cm, and 1x3 cm. Leaf temperature is measured by a high-precision thermocouple mounted in the chamber, while a Gallium Arsenide Phosphide (GaAsP) photodiode measures photosynthetically active radiation (PAR) inside the chamber. Plated surfaces minimize H2O adsorption. 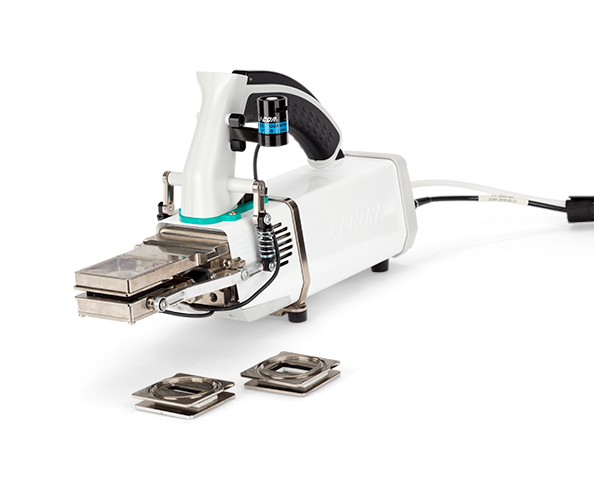 Durable gaskets form a seal around irregular leaf surfaces. The Large Leaf and Needle Chamber (6800-13) is ideal for leaves and needles that are big enough to cover most or all of the 36-cm2 area leaf aperture. 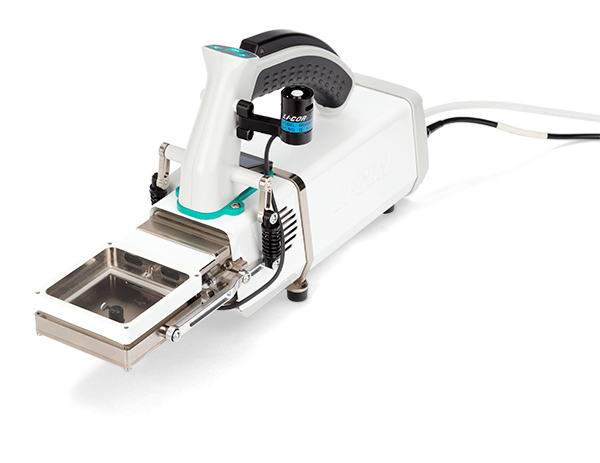 This large surface area gives you unparalleled flexibility to measure different leaf shapes and sizes. The large leaf aperture also improves the accuracy of all measurements. The higher signal-to-noise ratios are especially helpful for seeing differences in low-flux measurements, such as measurements of dark respiration. The high flow rates of the LI-6800—not found in any other photosynthesis system—make measurements over such a large leaf area possible. The Large Leaf and Needle Chamber has a durable, transparent top for ambient-lighted CO2 and H2O flux measurements. The optional Large Light Source attaches directly to this chamber for controlled lighting with any combination of red, green, blue, and white light. The large 6x6-cm leaf area features two high-precision thermocouples for more accurate temperature data. 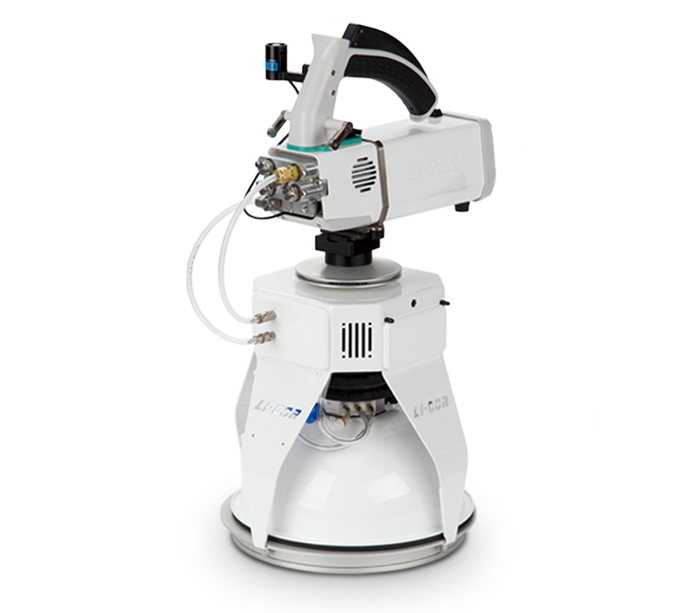 The Small Plant Chamber (6800-17) enables the measurements of whole Arabidopsis thaliana plants, other small rosettes, or short canopies such as turf in 65 mm (2.5 inch) pots or 38 mm (1.5 inch) Cone-tainers™. The Small Plant Chamber features a transparent Propafilm™ for measurements under ambient light. It is compatible with the Large Light Source, which enables measurements under controlled lighting with any combination of red, green, blue, and white light. The Bryophyte Chamber (6800-24) is used to measure CO2 and H2O gas exchange from mosses, hornworts, liverworts, and lichens. The chamber holds loose material in a shallow well during the measurement. It features a clear Propafilm™ top for measurements under ambient lighting conditions. It is compatible with the Large Light Source for measurements under controlled lighting with any combination of red, green, blue, and white light. The Soil CO2 Flux Chamber (6800-09) is used to measure the rate of diffusion of CO2 from the soil surface. This chamber uses technology from the patented LI-COR soil solution, which is the global standard in soil chamber technology. The 20 cm Soil CO2 Flux Chamber lets you quickly make measurements, and is ideal for assessing spatial variability of CO2 flux over a study site. Data output can be formatted for SoilFluxPro™ Software for post-processing data analysis. With SoilFluxPro software you can easily view, graph, edit, and recompute soil gas flux data. The 6800-09 also comes with a soil temperature/moisture sensor. The Custom Chamber Adapter (6800-19) allows you to construct a chamber to meet your needs. The custom chamber kit includes the adapter and hardware, tube connectors, type ‘E’ thermocouple adapter cable, and a template to provide guidance for mounting the custom chamber to the sensor head. 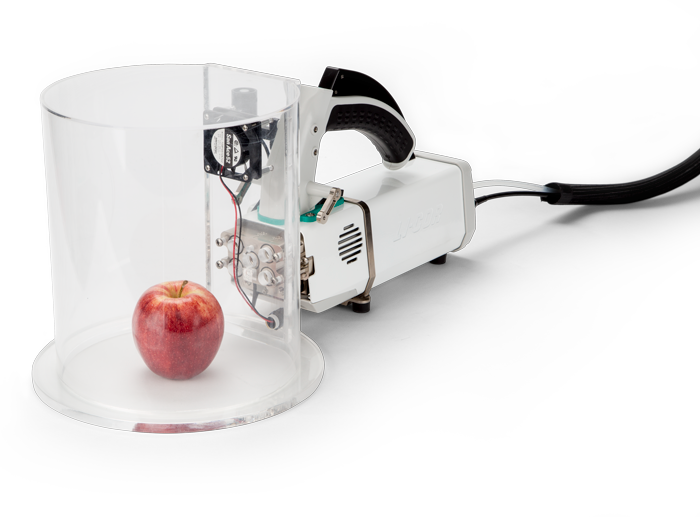 The Insect Respiration Chamber (6800-89) provides the ability to measure CO2 respiration from insects, other very small animals, or small fruits. 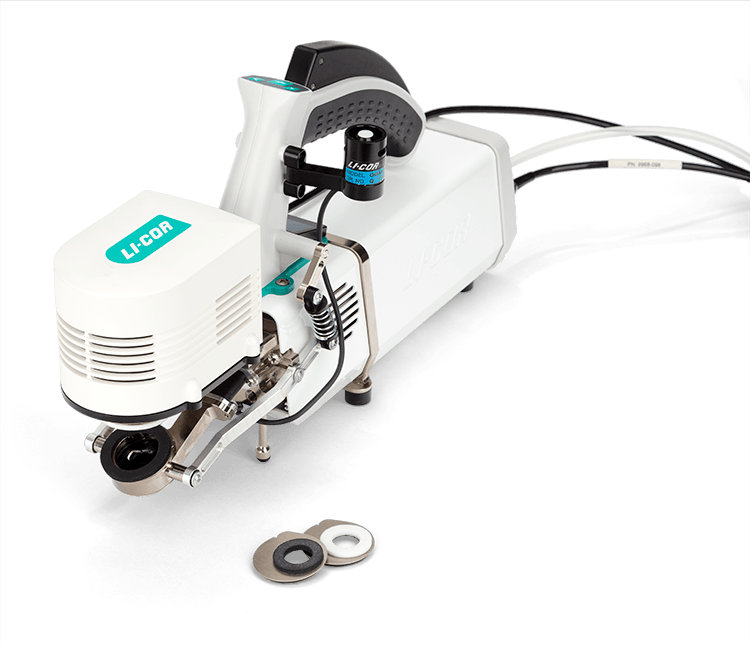 The LI-6800 directs conditioned air through the insect respiration chamber and computes a flux based on the differential concentrations between reference and sample gas analyzers. Respiration is computed on the basis of mass, providing a measure of CO2 exchange per unit of mass over time. The Insect Respiration Chamber includes the Custom Chamber Adapter. Chambers and corresponding light sources are available individually or as packages. If you want both a chamber and light source, order one of the following packages. 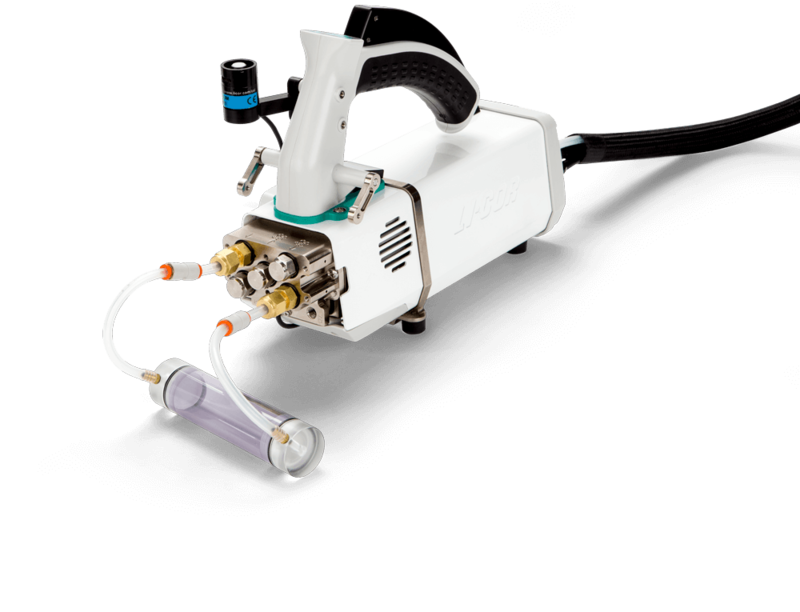 The sub-sample kit includes all the hardware required to collect gas from the sample and reference air streams and each exhaust air stream. The kit has four connectors for the sample, reference, and exhaust air streams, four T-fittings, and two needle valves. Part number 9968-210. An optional adapter to connect a tank of compressed CO2 to the CO2 injector. Part number 9968-109. Cable used to connect a deep cycle marine battery to the LI-6800 for power. Part number 9968-242. Cable used to connect a second light source to the LI-6800 sensor head. Part number 9968-243. Blocks used to expand the volume of the Large Leaf and Needle Chamber, which can be used to measure conifer sprigs. Part number: 9968-271. Interested in the LI-6800 Chambers and Accessories?